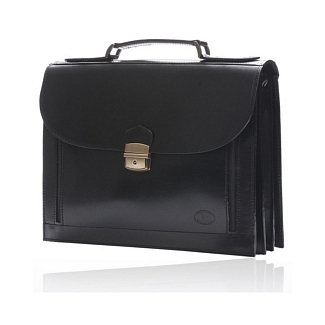 Made out of pure calfskin leather and featuring a stylish latch in the front, the KINGSTON black has everything you want in order to satisfy your official needs. 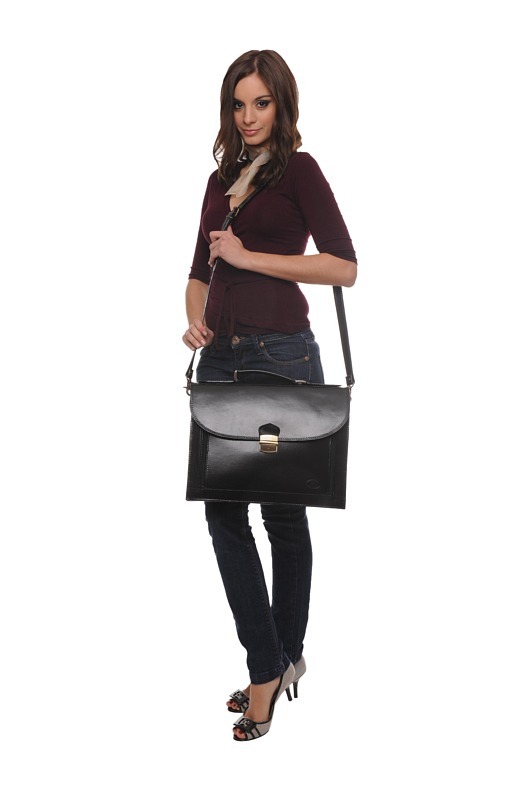 It comes with an attachable shoulder strap, so you can easily carry it on your shoulder or in hand thanks to the handle on top. 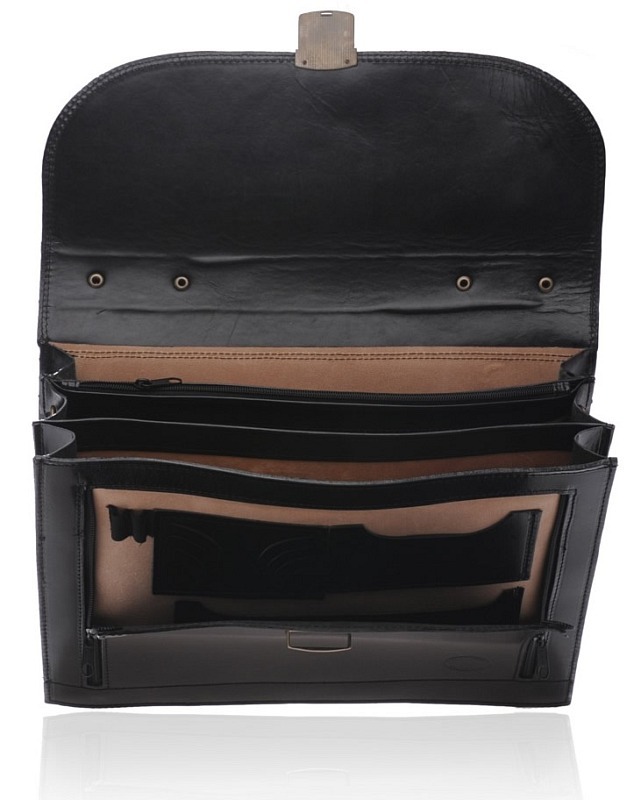 The inside is divided in to three main compartments, one smaller compartment that can be accessed with a zip on the side and a zipped sleeve. 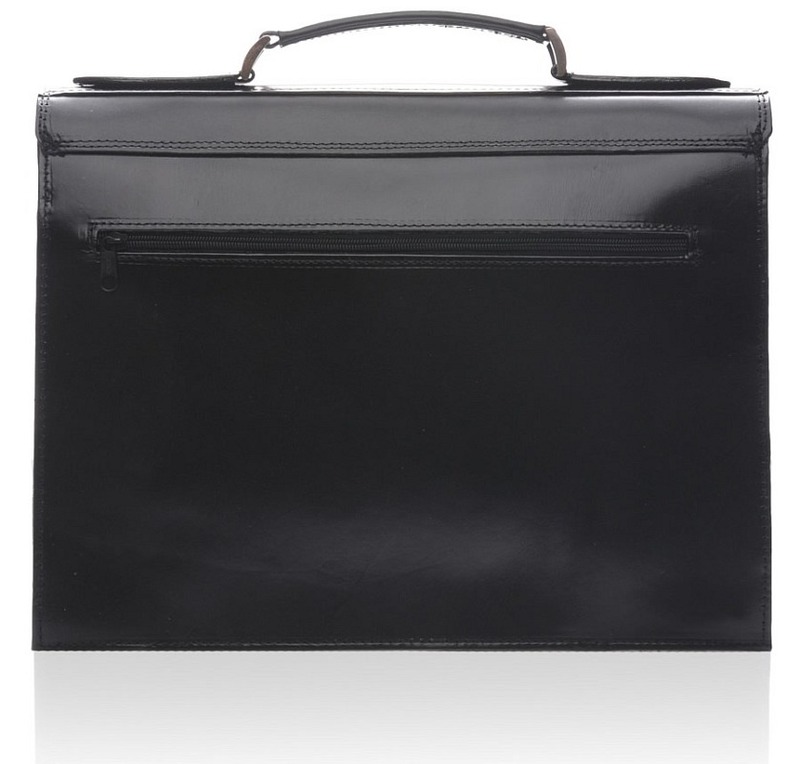 There is an external zipped sleeve as well for keeping light paper or stationery. 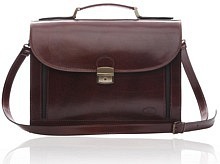 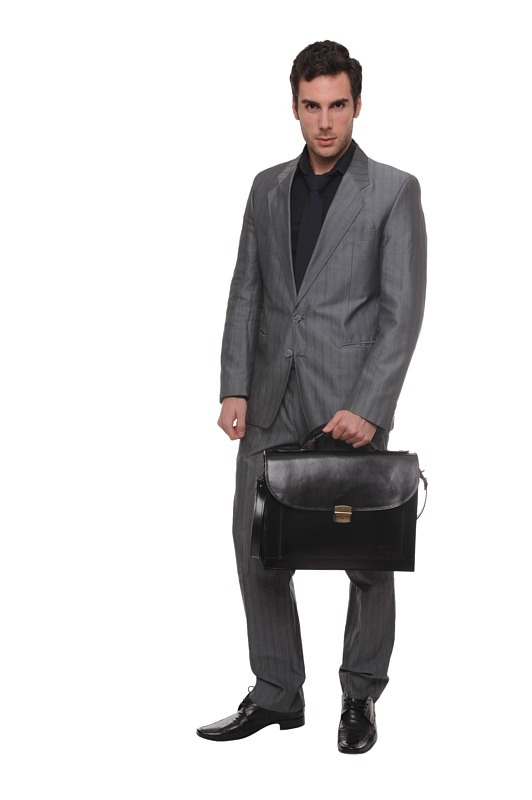 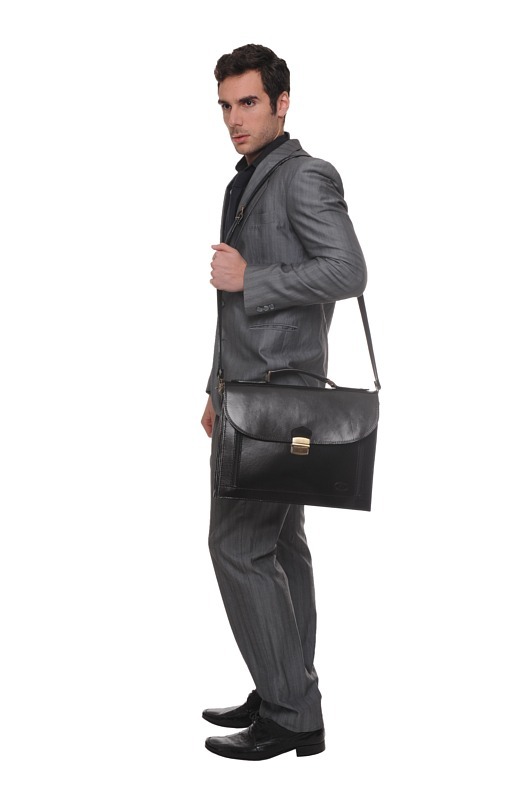 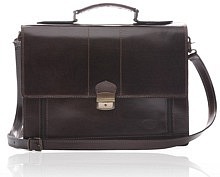 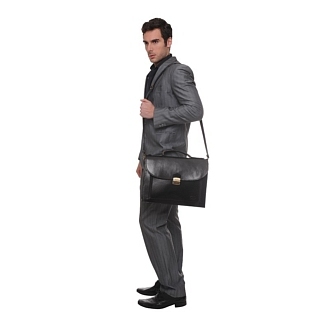 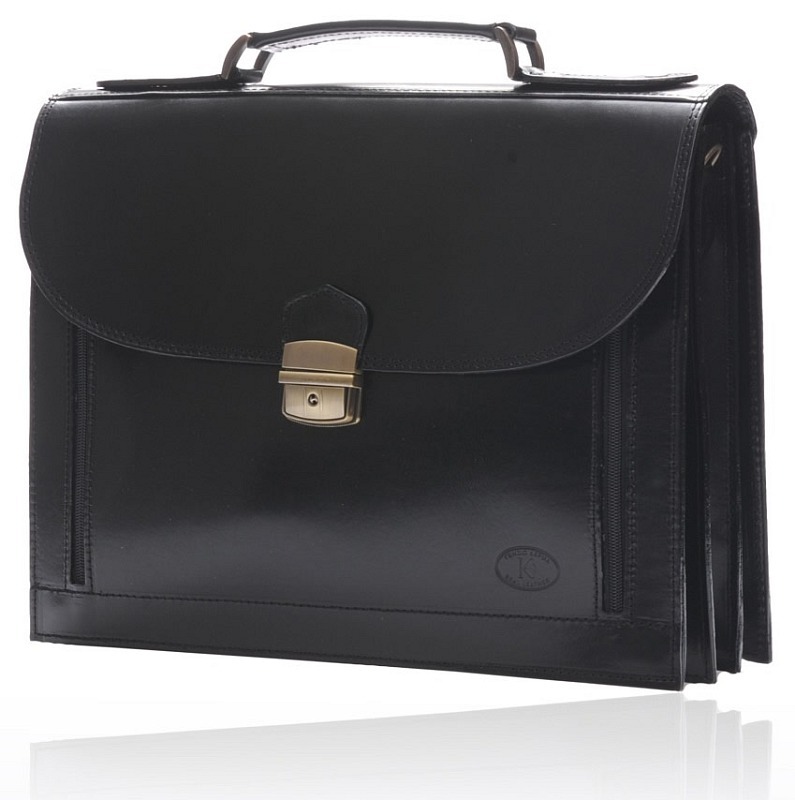 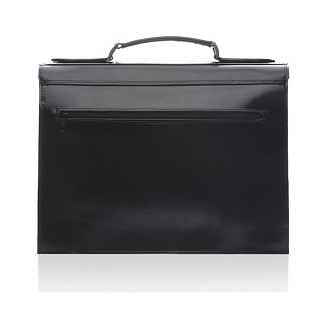 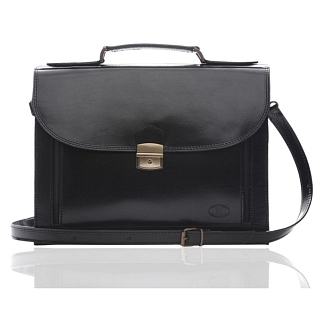 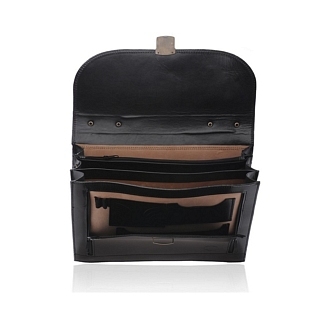 This leather briefcase is perfect for all professional individuals, and is from the Iris Luxury collection.